Come try the Ides of Märzen! Just a quick post – particularly if you are a Devon-based beer fan – to let you know I’m hosting an Anglo-German beer and food matching at Teign Cellars in Newton Abbot this Tuesday 26th November from 7pm. 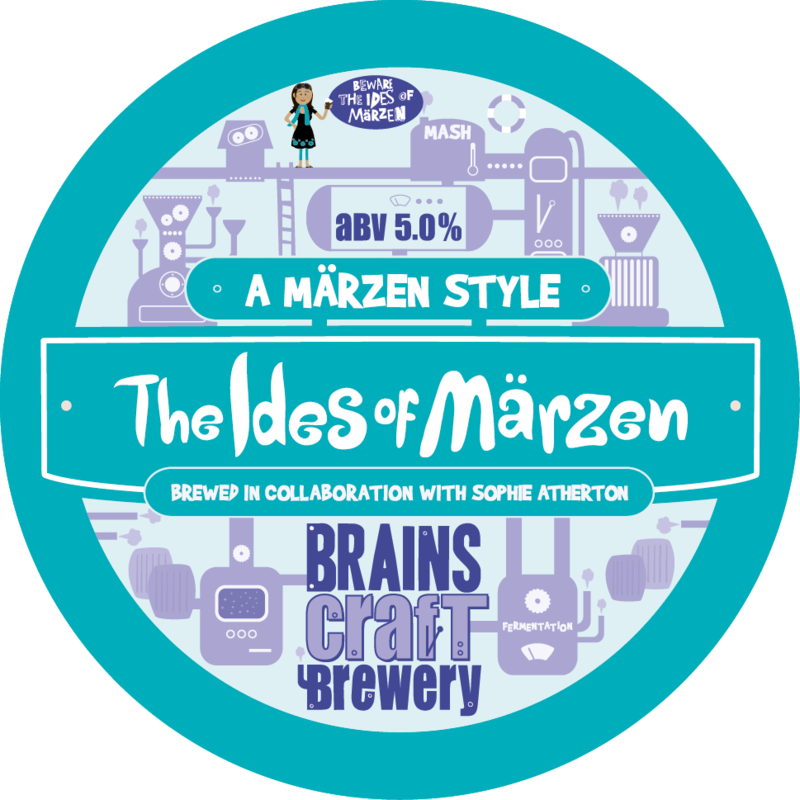 Tickets are just £3.50 and that gets you a bottle of the Ides of Märzen – my collaboration with Brains Brewery – and selection of English and German foodstuffs to try matching it with. Ides was made as part of Brains’ Continental Beer Challenge where my beer will compete against brews created by the likes of Pete Brown, Adrian Tierney-Jones and Des de Moor but while many of the others went for big flavour brews like saisons and dubbels I decided to aim for drinkability – hence Ides of Märzen is a sort of Oktoberfest-style brew but with an English hoppy heart. The winning beer will become part of Brains’ beer festival programme. Because Ides of Märzen is a bit of an Anglo-German affair (you can find out more about why I chose to make it if you come to the event) I think it might match with a traditional Ploughman’s Lunch or it could work better Germanic sausages and cheese. We’ll be sampling both types of food with Ides at the event in Newton Abbott tomorrow night – so come along, have a beer and see what the best food match for it is. 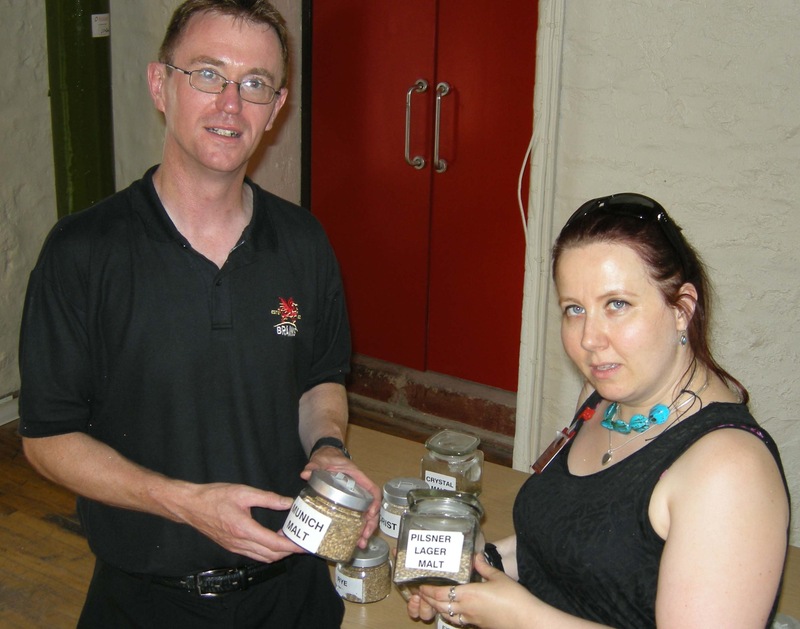 Collaboration brewers: Bill Dobson Head Brewer at Brains with Sophie Atherton on their brew day! Tickets – ONLY £3.50 – are available online or by calling the bar on 01626 332991. How to get there: Teign Cellars is located at 67 East Street, Newton Abbot, TQ12 2JR – just a short walk from Newton Abbot rail station, in the centre of East Street – a few doors down from the Cider Bar.